The Achieving a Better Life Experience (ABLE) program was created to encourage and assist individuals and families in saving funds for the purpose of supporting individuals with disabilities to maintain health, independence and quality of life. And, to provide secure funding for qualified disability expenses on behalf of designated beneficiaries with disabilities that will supplement, but not supplant, benefits provided through private insurance, the Supplemental Security Income (SSI) program, the Medicaid program, the beneficiary’s employment and other sources. The federal ABLE Act was signed into law in December 2014. The Michigan ABLE (MiABLE) was signed into law in October 2015. The Michigan Department of Treasury will administer the MiABLE program and enrollment starts November 1st. An ABLE account must be used for “qualified disability expenses” that relate to the designated beneficiary’s disability and are for the benefit of that beneficiary in maintaining or improving his or her health, independence or quality of life. 10. and, any other expenses that may be identified from time to time in future guidance published in the Internal Revenue Bulletin. Click here for a chart on the certification criteria for the WOTC target groups. ABILITY Award Winner Sandy Baker DNWM Board Member! 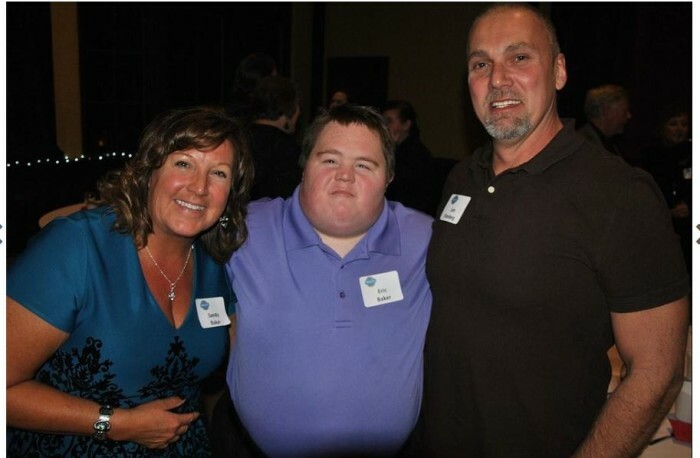 Last night one of our board members was nominated and awarded the sixth annual Ability Award from Disability Network/Lakeshore. The award is given to residents of Allegan and Ottawa counties who further the vision of a community where people with disabilities can participate, contribute and belong. Baker was selected from a list of 11 nominees by the DNL Selection Committee. Sandy Baker is an asset to our organization and we couldn’t be happier for her. The Bureau of Services for Blind Persons in conjunction with Michigan State University’s Project Excellence program and Michigan Rehabilitation Services asks you to EXPRESS YOUR OPINION!! Are you an individual with a disability or a friend or family member of someone with disability? Do you want to share your opinions about the needs and services for individuals with disabilities in your community? If you answered YES, then you qualify to take an important survey about the service needs for people with disabilities in our Michigan communities. Janet Thom is one of our board members who is equally a tremendous advocate for our organization. Prior to joining our board, she found that Disability Network West Michigan was a safe place to find the answers she was looking for.Janet Thom is one of our board members who is equally a tremendous advocate for our organization. Prior to joining our board, she found that Disability Network West Michigan was a safe place to find the answers she was looking for. If someone had to walk a mile in your shoes, what would it feel like? If choice were an object, what would it be? If the road to recovery runs through Oz, who would your Tin Man be? 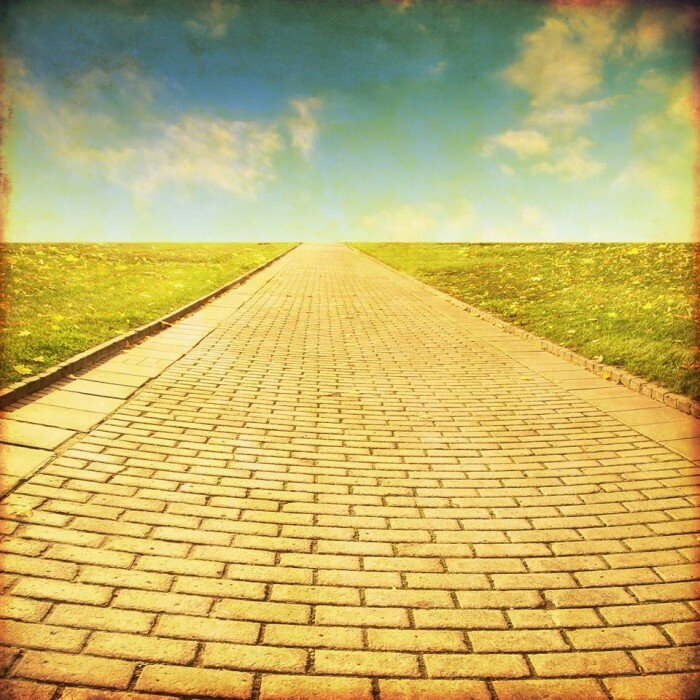 What does the Yellow Brick Road feel like? What would Oz say to you when you are finally face to face? These thought-provoking questions have been writing prompts over the last year in our Recovery Co-op Writers Group. Led by Kim Lilly, the group meets weekly at the Recovery Co-op, a drop in center, to explore their individual stories of recovery – from addiction, mental illness, abuse. “Everyone has a story in them,” says Kim, an Independent Living Specialist with Disability Network West Michigan. “The writing prompts help group members approach their stories within a framework that leads to self-discovery. When our writers share their words, we see them break through the isolation of their personal history and form connections over shared experiences with other group members. Kim stepped in to lead the group in January, using the Oz prompt as the first with the group. She says the universal themes in The Wizard of Oz resonated with the group, who are all working to find the strength of self to lead them on their individual recovery journeys. The days were bright full of sun and lots of color. I smiled and sung songs as I walked thru the days of green fields and flowers. Then I meet what I thought was a great and wonderful man who turned my world into my great tornado. My world into a windstorm that throw me to a place way, way away from my normal state of normal mental health. I found myself in the world of the great Oz of mental illness. It was a dark and cloudy world with no more color just sadness. She went on to detail her journey, which included her parents (the Lion), a good friend (the Scarecrow) and her son (the Tin Man). When she finally met with Oz and asked him to reverse the last 20 years, he said he could help with medication – but that she had to do the rest. The next thing I know I was back to living a normal life doing volunteer work then with some time I was as a peer support specialist and working as an Activity Director for my local drop-in center. My life has color I sing smile laugh it is a joy and yes I do take the magic pills thou they really are not magic. I also work every day on my mental health looking forward looking for sunshine with a good attitude and take care of myself with good diet exercise and sleep. “Their internal message is about everything they have done wrong in their lives,” Kim explains. “We need to put a new message in – and these writing classes are giving them the tools to do that. We have come really far together. Kim and the group members are working on a collection of the writings in the class, which they share in a book “Writing Through Recovery.” We also plan to share occasional notes and essays on our Facebook page. If you are interested in learning more about the Recovery Writers Group, contact Kim Lilly at Disability Network at 231.332.4031 or Lori Wells at Recovery Co-op at 231.722.3741. What does it mean to be a Consumer-Controlled, Consumer-Run Center? 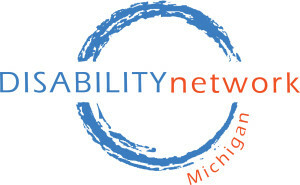 Disability Network/Michigan shares a post of support for Disability Network West Michigan. Click HERE to read more. Caryn Vennema’s story is proof that #InclusionWorks. Our video series in honor of National Disability Awareness Employment Month continues featuring new board member Caryn and her experience with Disability Network West Michigan.